Roundabouts have arrived in the Twin Tiers, and the circular intersections have confused many drivers. 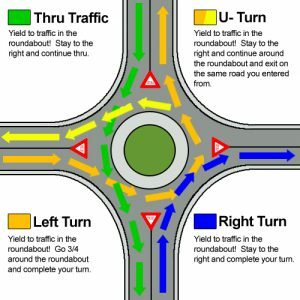 Most drivers who rarely see roundabouts have had to learn to (1) slow down as they approach and be ready to yield, and (2), yield to traffic already in the roundabout as they prepare enter. Motorists will find roundabouts on state Route 13 in Horseheads, at Franklin Street and Old Ithaca Road, and a new one in Newfield on Route 13. Many Chemung County-to-Ithaca commuters have learned to navigate roundabouts because they are a daily fact of life. There are also two small roundabouts on Maple Avenue on Elmira’s Southside, and soon, the city of Elmira will have a high-profile roundabout on North Main Street just south of Elmira College, one of the high traffic areas in the city. The city is still lining up funding for construction of that roundabout after initial bids came in too high. In this era of aggressive driving, it’s hard to get motorists to slow down and yield, so as we see more roundabouts, we could see more crashes. The biggest lesson for Twin Tiers drivers? As you approach a roundabout, be prepared to yield to vehicles already in the roundabout when you arrive. Many motorists shake their heads and argue that roundabouts aren’t needed, that traffic lights and stop signs work just fine, but transportation and highway safety officials say they are safer. Especially for left-turning traffic. 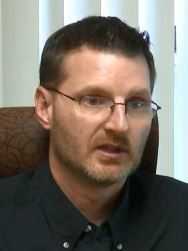 Andy Avery, the commissioner of public works for Chemung County, knows why roundabouts make sense for the Twin Tiers. Roundabouts, for one, have fewer conflict points in comparison with conventional intersections, he said. Roundabouts are a relatively new way of designing intersections in our area, Avery said, so confusion and frustration are common reactions for motorists new to roundabouts. So, for example, if you are approaching a roundabout on Route 13, that doesn’t mean you have the right of way. If someone is in the roundabout as you approach, you must yield to them. The roundabout is the best option for the North Main Street project in Elmira, Avery said. More than 90 percent reduction in fatalities. 76 percent reduction in injuries. 35 percent reduction in all crashes. Safer intersections for pedestrians because of the slower traffic. “Roundabouts can provide lasting benefits and value in many ways. They are often safer, more efficient, less costly and more aesthetically appealing than conventional intersection designs. … The FHWA Office of Safety identified roundabouts as a Proven Safety Countermeasure because of their ability to substantially reduce the types of crashes that result in injury or loss of life. 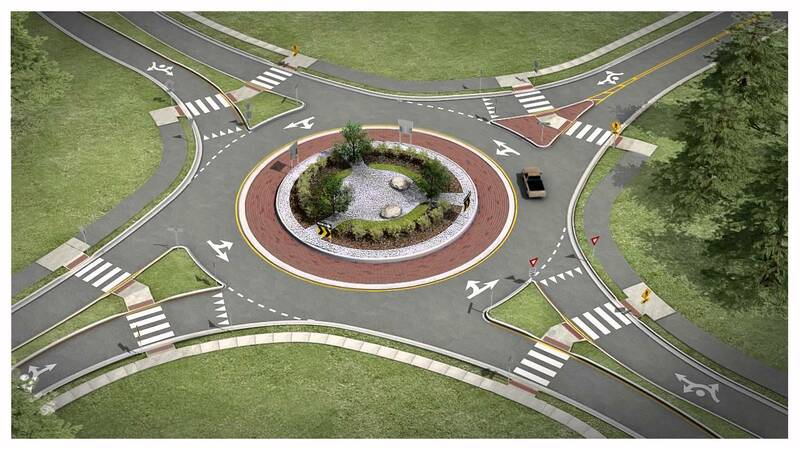 Roundabouts are designed to improve safety for all users, including pedestrians and bicycles. Learn more about roundabouts from the FHWA, the New York State Department of Motor Vehicles, the Pennsylvania Department of Transportation, and the Insurance Institute for Highway Safety (includes a great Q&A). Also download this PDF from FHWA: Safety Aspects of Roundabouts. This entry was posted in Auto Accidents, Automobile insurance, Automobile safety, Car pedestrian accidents, Distracted drivers, Distracted driving, Elderly drivers, Injury FAQ's, Insurance, Keeping Your Family Safe, Miscellaneous, NY Courts, NY Laws and Cases, PA Laws and Cases, Pedestrian accidents, Teenage drivers and tagged accident attorney, accident lawyer, blog, Car accident, chemung county, corning, elmira, Elmira New York, ithaca, James B. Reed, Jim James B. Reed, law, law firm, lawyer, Legal Information, NY accident, NY accident attorney, Ny accident lawyer, NY lawyer, personal injury, Steuben County, twin tiers, upstate, upstate new york, upstate NY, Ziff Law Firm by Jim Reed. Bookmark the permalink.